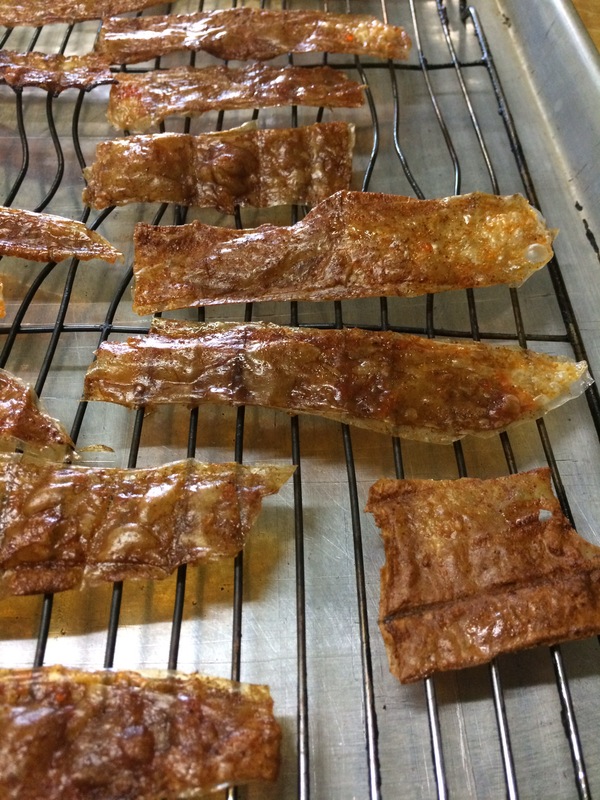 I was a bit skeptical wondering if it would be crispy enough and taste like bacon. Sure enough, it’s absolutely perfect!! 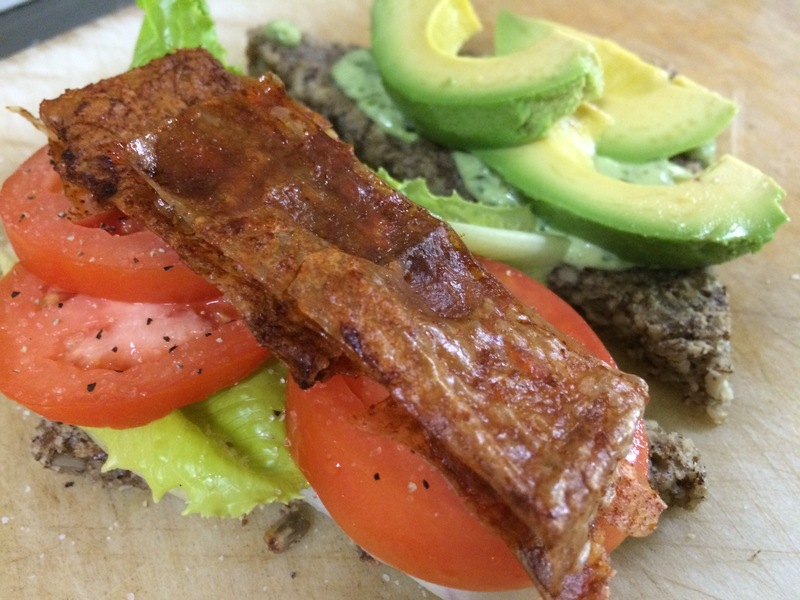 Up until now I have always used tempeh as bacon in my BLT’S, and I still will because of how much protein tempeh has, but this rice paper bacon will also have a seat at my table! It’s just so damn good!! 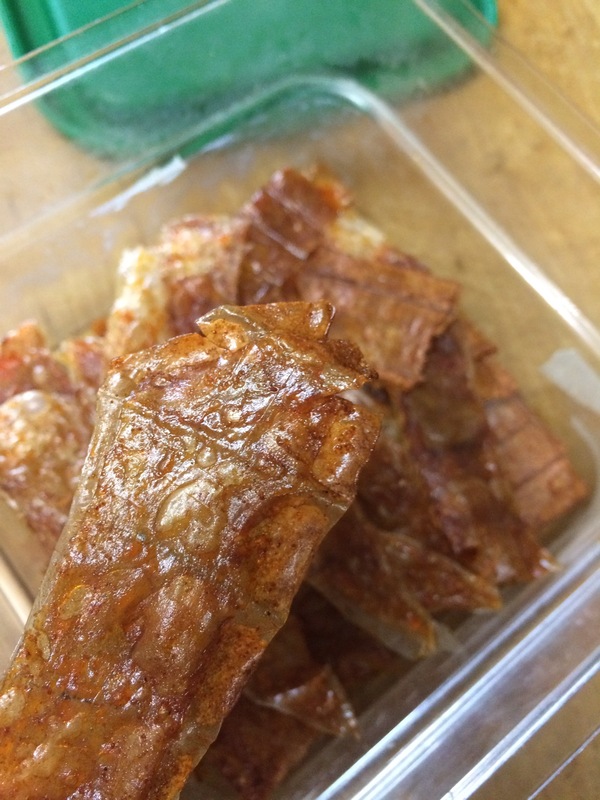 This is the same marinade I use for my tempeh bacon (only I bake the tempeh for twice as long as the rice paper variation) and it’s perfect! Wisk all ingredients together in a shallow bowl. Bake for 8-10 minutes of 375. Remove from rack when cooled. If it’s not crispy enough just give it a few more minutes in the oven. I hope you try this recipe!! My mouth is watering just looking at these photos, I am going to have to make another one!! 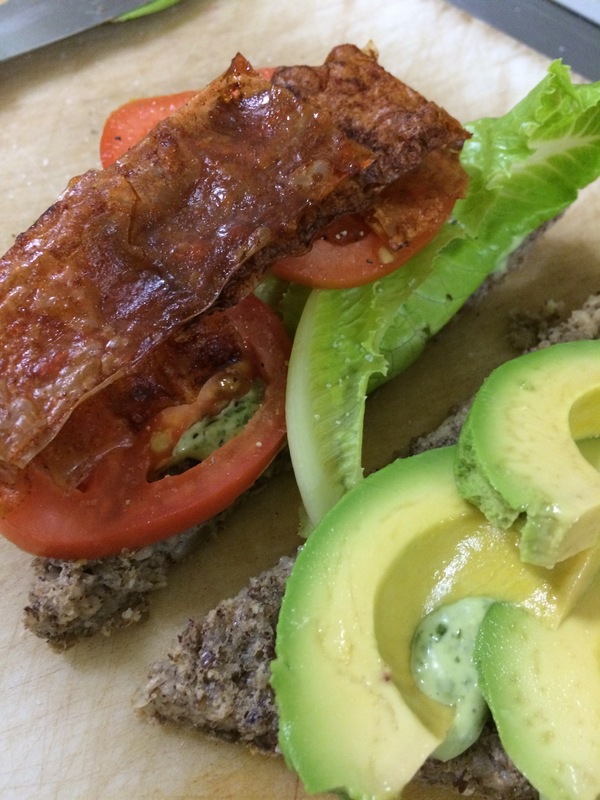 I love to enjoy my BLT’S with avocado and basil mayo( veganaise blended with fresh basil, a splash of lime juice and a pinch of smoked sea salt). Previous PostPrevious Roasted Tomato Bisque! Next PostNext Italian Style Rawsome Dinner!